In 1959, Transcendental Meditation was first introduced in the United States by a renowned scholar and meditation teacher Maharishi Mahesh Yogi. Since then more than 6 million people worldwide have learned the TM technique, including 1.5 million people in the United States. Maharishi, also a university-trained physicist, is credited with bringing science to the study of meditation. He presided over a series of international symposia on Transcendental Meditation with Professor Brian David Josephson, Nobel Laureate in Physics; Professor Ilya Prigogene, Nobel Laureate in Chemistry; Professor of Physics Emeritus Gershin Goldhaber; Professor Emeritus Harvey Brooks, founder of the Kennedy School’s Belfer Center for Science and International Affairs; and renowned architect and inventor Buckminster Fuller. 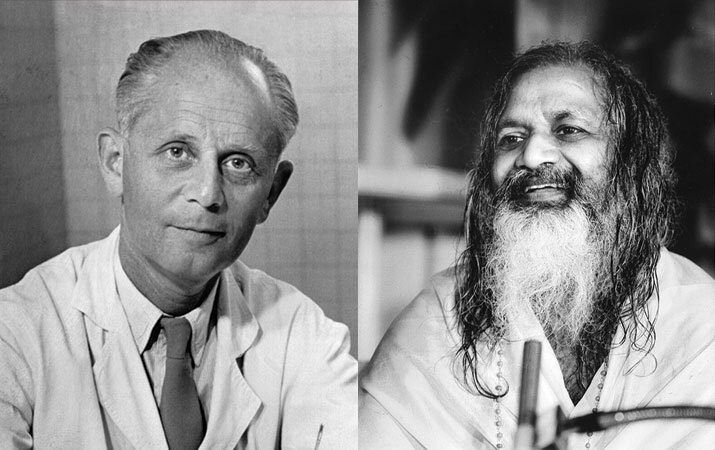 Maharishi also held frequent meetings in the early 1970s with Dr. Hans Selye, considered the “Father of Stress,” which led to new understandings of the “stress response” and the role of Transcendental Meditation to alleviate the impact of “distress” in the physiology. These early discussions galvanized the scientific and medical community to investigate the wide-ranging benefits of Transcendental Meditation for mind, body and relationships. As a result, to date, more than 350 studies have been conducted on the TM technique at 200 independent universities and research institutes and published in more than 100 peer-reviewed journals. Maharishi and Dr. Selye spoke together at a conference on Transcendental Meditation and stress at Queens University in Canada in 1972. “It was my good fortune to have spent almost an entire day with Maharishi Mahesh Yogi at one of his international symposia. Ever since then I have felt it would be extremely fruitful to explore in detail the obvious physiological and psychological influence exerted by Transcendental Meditation on stress in the body. Research already conducted shows that the physiological effects of Transcendental Meditation are exactly the opposite to those identified by medicine as being characteristic of the body’s effort to meet the demands of stress. “The research shows this for metabolism, breathing, skin resistance, blood lactate, brain waves and the cardiovascular system. The same way, the therapeutic effects of Transcendental Meditation on bodily derangements is most evident in the conditions known as ‘diseases of stress’ or ‘diseases of adaption’—especially in mental, cardiovascular, gastrointestinal, and hypersensitivity ailments—ailments caused by inappropriate responses to the stresses of everyday life.